You can create it similar to when you write a post. Go to Posting > Edit Pages and click on “New page“. It will open a new window which looks similar like the New post page. You can create up to 10 pages. Once you’ve published it you can link to it using new Pages Widget. 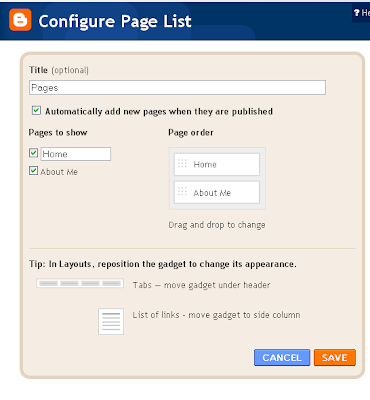 Using this widget, you can decide which pages will be shown, where it will be shown( whether under header or in sidebar). 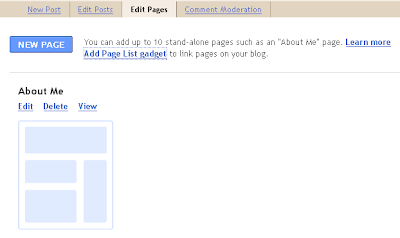 This is an example how it will look like in your blog. LA VERDAD NO ENTENDI! JAJA! PERDON!